With an industrial design that will transform your bar or breakfast counter, the Quad Pod Adjustable Stool by Moe's Home Collection has a design that speaks volumes. 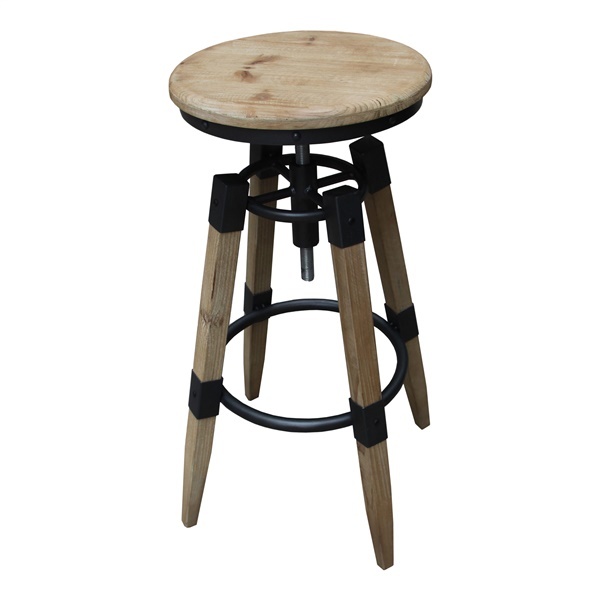 This bar stool is crafted from natural Fir wood, high quality MDF and iron hardware for an urban look with an edge. The footrest and adjustable seat provide versatile comfort when you're having a drink with friends.�Slightly rustic and ultra stylish with studded decorative accents, Moe's Quad Pod Adjustable Stool is ideal for transitional spaces.